Resilience is the ability to bounce back from whatever life serves up! Teaching teenagers the skills and attitudes of resilience, empowers them with the confidence to live life to the fullest. 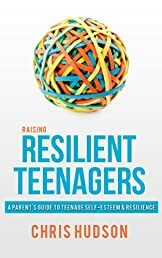 Written especially for parents of teenagers, Raising Resilient Teenagers provides a comprehensive guide to building teenage self-esteem and resilience. Along with useful information and simple explanations, Raising Resilient Teenagers is full of practical advice and strategies parents can easily apply with their teenagers in everyday life. Each copy of the book comes with a free Workbook providing parents with the opportunity to focus in on exactly what they need to do to build their teenager's self-esteem and resilience.